In the absence of a new Booker post (I'm currently reading - & loving - Jonathan Franzen's Freedom... and also marking essay introductions), I thought I'd post a few thoughts on other recent interesting finds. 1. 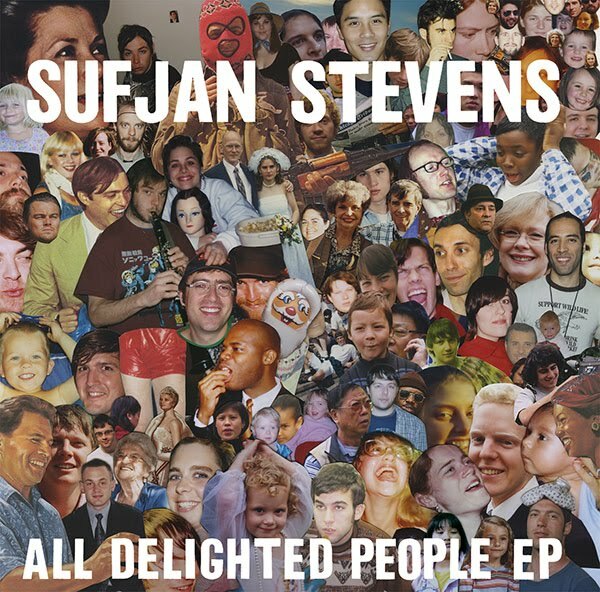 Sufjan Stevens releases a new EP without telling anyone. Releasing music via internet download is hardly new, of course, but what Stevens did - inadvertently or otherwise - actually created more of a buzz than months of pre-release hype would have done. Because all of a sudden, you could just go and get new music out of the blue from a favourite artist & be listening to it within an hour or two of first being aware of its existence (depending on your internet speed). And the music's fantastic, by the way. Some of his best work to date - some quieter songs, a la Seven Swans, and some lengthy, more experimental tracks. A few days after the release of All Delighted People, he announced a full album (entirely unrelated to this ep) in October. Yay! A couple of tracks from that have been officially made available for free download, and that's just whetted my appetite. 2. Radiohead essentially give away a free concert dvd. The main problem with Radiohead's In Rainbows was the fact that its brilliance got overshadowed by the band's marketing strategy (download for as much as you want to pay, in case you've been living under a rock). 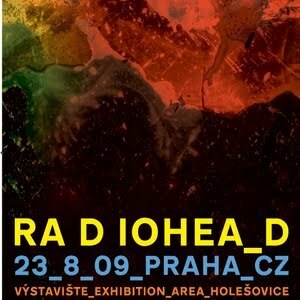 In Rainbows is - in my opinion - as good as anything they've done. And they have done some very serious good. And, in a neat repetition of that release, they've done a similar thing with a live concert video from the tour (in Prague). A group of fans got together & all shot the show on video cameras from different places in the audience, and then they edited it all together. And, remarkably, rather than shut the distribution of that video down (as one suspects most bands would do), Radiohead actually gave the organisers the official audio recording of the night, straight from their soundboard, to use on the concert video. Their condition? That the video be made available free to everyone via download. I've downloaded it (from here) in both Ipad and dvd video formats. It's a tremendous show (especially for someone who's never had the chance to see them live in person), and looks about as good as any 'official' concert video I've ever seen. Had the band bunged the exact same show onto a dvd & charged $30 for it, I would've paid. But for them to help fans make a free download video just makes me love them all the more. And demonstrates the difference between bands who understand how to use the internet to their (& their fans'!) advantage, and those who are still running from the idea of it. 3. Arcade Fire take Ipod technology in new directions. 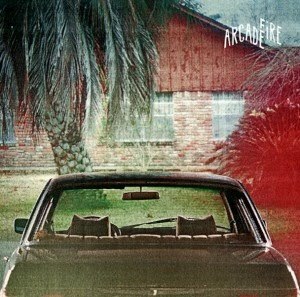 So, Arcade Fire released a new album - The Suburbs - a month or two ago. You can buy it on vinyl, cd or, if you're a chump, via Itunes download. On the other hand, you can download it from their website for less than half of what Itunes (Australia) charges. In doing so, not only do you support the band directly, without Apple etc taking their cut, and save a decent amount of money, you also get a vastly superior product. Why? Well, for starters, they encode their album at a higher bit rate than does Apple, and you get your choice of formats - including several varities of lossless & high-bitrate MP3. You also get the digital booklet in PDF form, featuring all the lyrics & artwork. But even better than that, they've included a second digital copy, using enhanced files. In short, instead of just displaying the album cover on your Ipod (etc), each song has a different background image. On top of that image, as the song plays, the lyrics are displayed, a line or two at a time, in a vaguely karaoke manner. And they also include other special variations, including some lyric-themed effects (when they sing 'someone cut out the lights', the screen goes black, for example) and a link to a website related to the theme of each song (for play on internet-connected devices like Iphones). I was not previously actually a huge Arcade Fire fan, but heard good things about this album, listened to a few songs on YouTube & saw the cheap download with an interesting-sounding use of technology, so happily plonked down my $8 (US). And I've really been loving The Suburbs, so I'm glad I did. But again: it was through hearing songs on YouTube that I decided this album was worth a shot. all legally, for under $15AUD. Each of these artists is big enough for this sort of thing to work, of course - they have built-in fanbases and enough people curious enough to have a listen. But, simultaneously, they're also not the three biggest-selling music acts in the world today either. I just hope that more artists - & record companies, for that matter - continue to see that making good & interesting things can actually be all you need in terms of marketing.